Aging is an inevitable part of life, so as we grow older we can do nothing but let nature take its course. Although becoming elderly can have some perks, it also, like anything, comes with its pitfalls. Unfortunately with age, we can begin to get sore bones and muscles, ailments and more. These can become extremely painful, making it difficult to fully care for ourselves like we once could. Without expert help and care you could even be putting yourself more at risk to injury. If you or someone you know is at the age now where some at home care would be helpful, then please carry on reading to find out some more information and what we offer. Here at Heaven Heights Senior Care we understand that independence is valued, this means we give our customers great quality home health care services so they can still live happily at home. Our caregivers are trustworthy and professional; they have been carefully selected to have expertise and knowledge in home health aide so you can be confident in the care and service you are receiving. Home health aide is a trained and professional healthcare worker who assists elderly, handicapped and disabled individuals. They will have specialized training that makes them able to administrate medicines, help with medical equipment and change bandages. Being elderly, handicapped or disabled can cause an individual to be unable to do day to day tasks such as prepare meals or bathe. In home care can be a great way to relieve stress on that individual or on their family members who might currently be taking care of them. A home health aide will improve their quality of life by taking on the jobs the person is unable to do and making sure the individual is happy, healthy and has everything they need. We make it our business to manage a client’s health as closely as possible, while still enabling them to have independence within the comfort of their own home. We also aim to relieve strain from helping family members that are almost overwhelmed with responsibility; in doing this we can also make sure that safe, expert care is delivered to the loved one in need. We pride ourselves on being knowledgeable and experienced when it comes to the job, but also attentive, caring and friendly when it comes to the client. We make sure that the customer gets what they need and are seen to in the most professional and caring manner. We can offer personalized in home care services to fit in with your daily routine and also be flexible with any social outings or hobbies you have. You won’t just be getting care at home; you will also be getting a trustworthy friend to socialize with. It is often the loved one’s family members or friends who do the elderly home care. However, when they have a job or family to look after as well, it can become quite a difficult task. To take the pressure off of these people, our elderly caregivers can help those who need general care, suffer from Alzheimer’s Disease, Parkinson’s Disease, or Dementia. There are many forms of being handicapped or disabled, some are more severe than others, but all of them are important and require delicate care. Living independently doesn’t mean that you can’t have support from our home care services; we actually encourage as much independence as possible throughout our time with the client. A great quality of life for someone who is handicapped or disabled depends on a delicate balance between independence and care given. We have the know how and the ability to make sure that balance is there. An important aspect to the well being of clients is the suitability of their home. Our caregivers are able to come into any home and see if the home is adequate for the individual’s needs, or whether it will need the correct adjustments to make it suitable for the specific client. If you or a loved one is recovering from a surgery, it may mean that you need some live in care for extra help around the house. Surgeries and important operations can leave you weak and vulnerable, and without proper care, you could potentially do more damage to yourself. We cater to everyone’s individual needs so try and provide a caregiver who has the most knowledge and experience with the specific needs of that client. Caring can mean a vast number of things, such as providing assistance for everyday jobs, assisting with personal care, providing transport and last but not least, being a good listener. Cancer patients can require any number of these things, and it’s our job to make sure that they are looked after with sincere care and attention. Social contact is as crucial as physical care during such an illness, as it helps to prevent the person who is ill from feeling isolated and alone. It’s important for them to get a home health aide who thoroughly understands the needs of the individual and who can find a good balance of what they think is best for the client and what the client wants. 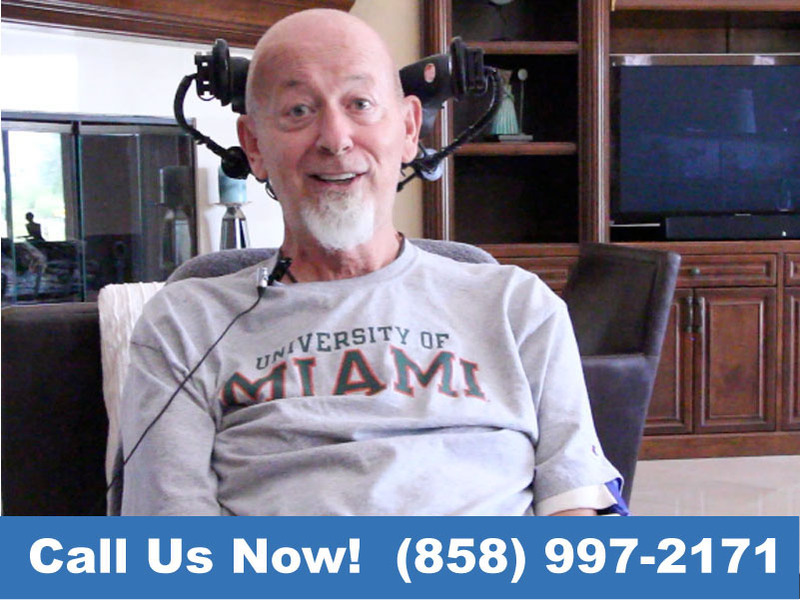 We are a senior home care business so have expertise in all areas of senior care. If we can provide you with something you’re interested in, then don’t hesitate to get in contact. Our excellent and friendly team will be ready and waiting. If you have any questions or would like some additional information get in contact with us on: (858) 997-2171.